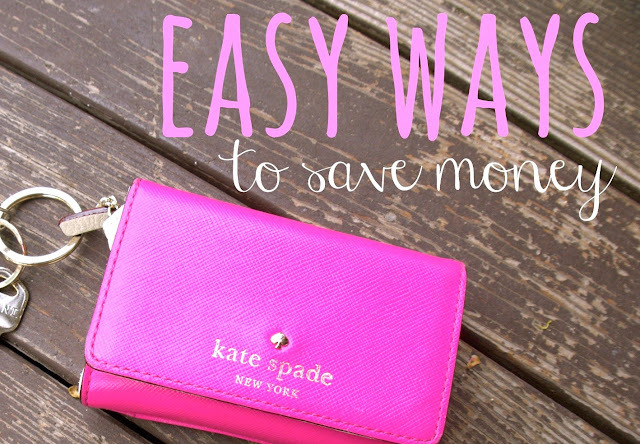 Tips for Saving Money This Summer - emma and co. Anyone who knows me well knows that I am probably the last person to go to for expert financial advice. My freshman year of college, my debit card and I had a very tight, unhealthy bond with online shopping. Now that I am living at home doing my own grocery shopping and am working, it's a lot easier to find stupid stuff to spend my money on, however I have really been trying to save my money for next semester. Like anything I write about, I'm just trying to figure it all out too, and here are some tips that have been working for me. Substitutions | The other day I was at Target and debated getting toiletries and stopped myself when I realized I had tons of half used bottles at home. Really think about what you already have and what is really necessary. Will you cry on the way home because you didn't get that bottle of nail polish? Probably not. I try to keep any major shopping trip to 1 small impulse buy. Savings Immediately | Whenever I get a check or have money, I put it immediately into my saving account. There is nothing worse for blowing through money than having it all in your wallet. Keep Track | The number of times that I have had no idea what is in my account is sad considering the convenience of online banking. This also goes for overdraft fees in checking accounts- KEEP ON TOP OF THAT. There is nothing worse than not transferring money and getting charged a fee for it.